Nestle in the area of Vaunage, Gard Departement, Sommières is a medieval town which was created in the 1st century. 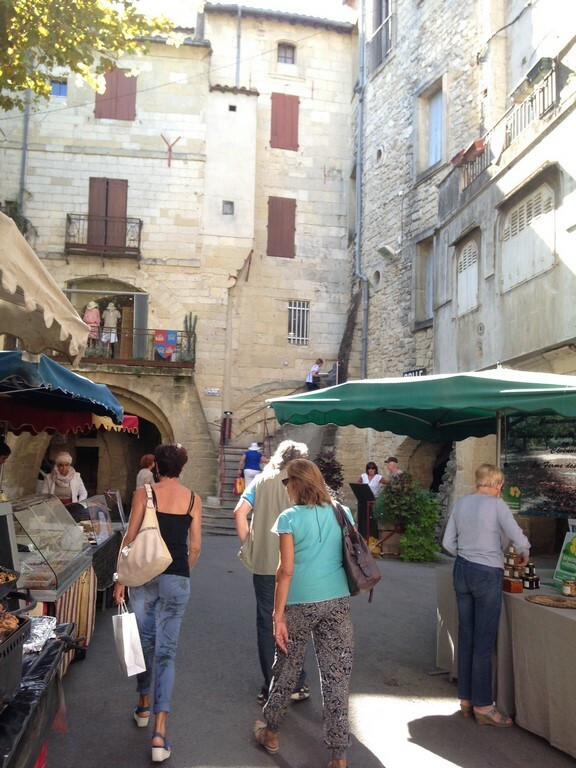 Since the 13th century it held a Saturday morning market. Opened from 8am to 1pm this market is quite wide and it goes from the edge of the old town to the river. It is the best in the area of Vaunage due to the variety of products it offers, its size and its medieval atmosphere. This market sprawls throughout the old city but the heart is definitely located in the place of the Docteur Dax. If you want to park your car you can find a large parking on the West side of the Vidourle River and another one on the East side, nearby the arena and the Petanques playfield. Both of them are at a 5 to 10 minutes walking distance from the market. For information, The Vaunage is a geographic area of the Gard department, located in the western part of Nîmes. 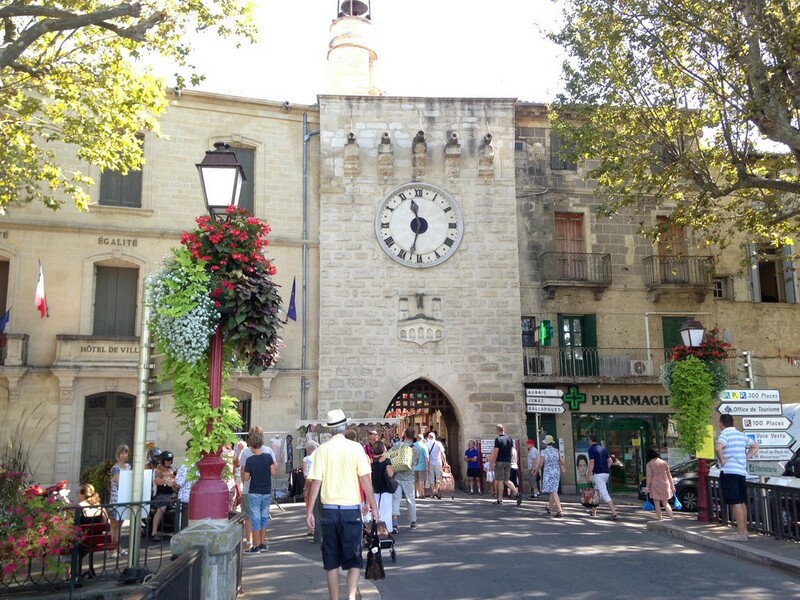 It is quite a charming rural area made of several small Provencal villages and towns. It goes between Sommières and Nîmes. From East to West the main villages of Vaunage are: Caveirac, Clarensac, Langlade, Saint-Dionizy, Nages-et-Solorgues, Calvisson, Boissières, Saint-Côme-et-Maruéjols, Congénies, Junas. 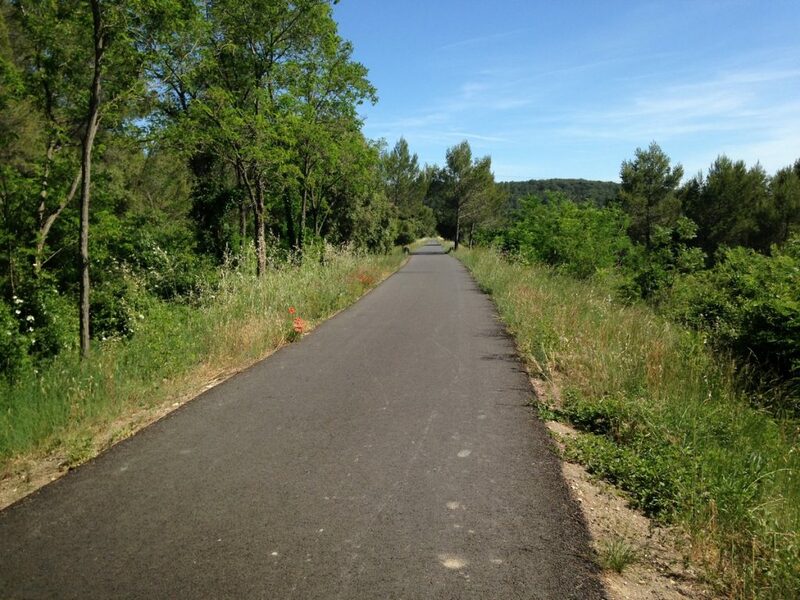 Also notice there is an outstanding 22km long bicycling and walking greenway (“voie verte”) that goes from Caveirac to Sommières!!! 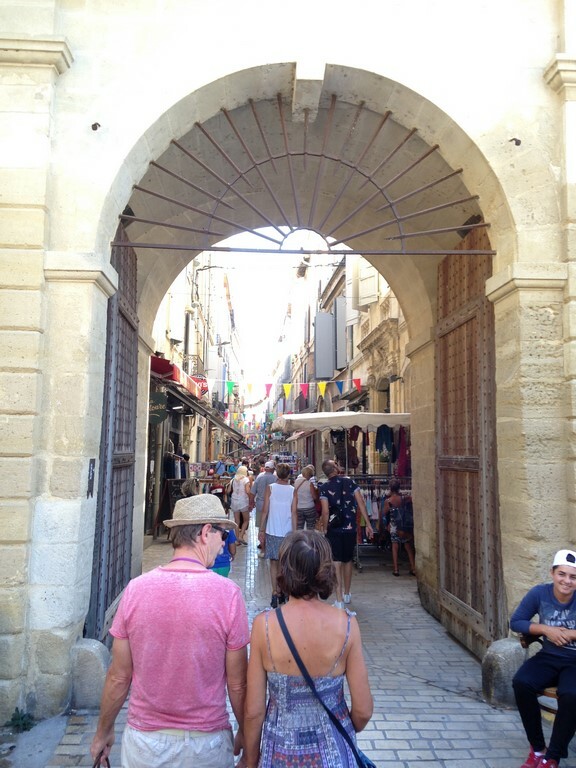 When you reach Sommières, if you decide to park on the West side of the Vidourle you can reach the Market by crossing the stone arched Roman bridge which was built up at the 1st century by the emperor Tiberius. There it is worth taking the time to look at the romantic scenery and the architecture of this town that spread along the Vidourle River. At the end of the Roman Bridge, you can enter the old town by walking below the medieval gate of Sommières. Once you pass this gate you will see a narrow medieval street that is fact a part of the bridge! Indeed, being in the past the only road-crossing of the Vidourle River, the bridge of Sommières was a living bridge, with shops, houses and so on. 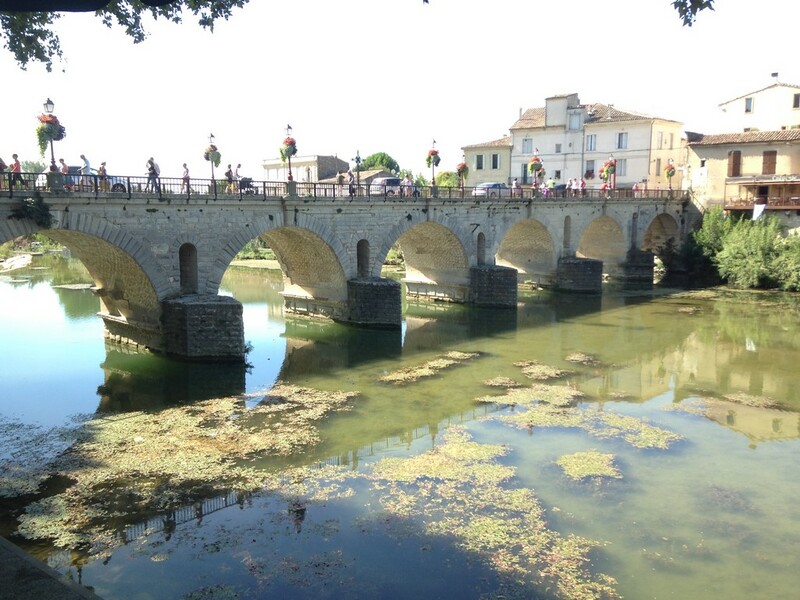 The town of Sommières was born and created on this bridge at the 5th century. 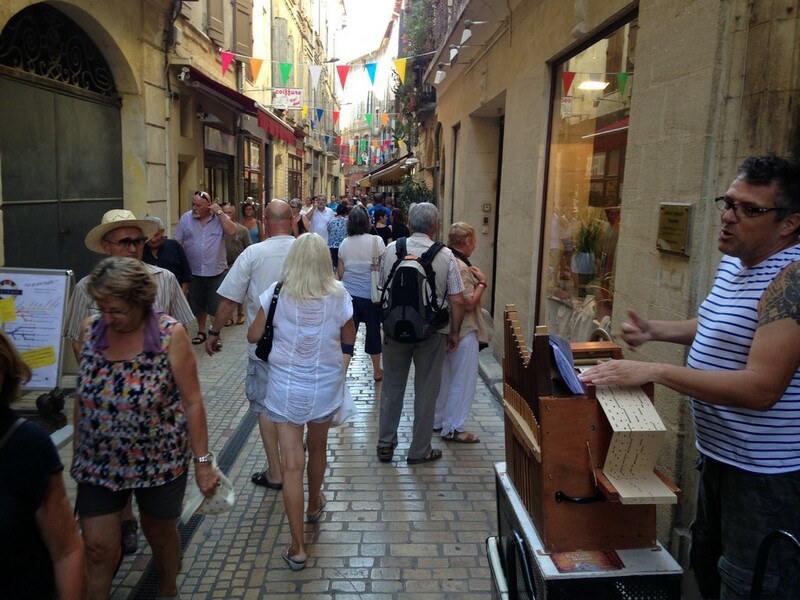 If you enter the market by the Eastern part of the Vidourle, you will go to the Northern gate of the city located at the Place du Jeu de Ballon and start your walk from the beginning of the rue Antonin Paris. In the rue Antonin Paris, take the time to explore this cobblestoned medieval street, sample local wines, food and get lost in amid the scents and colors of this centuries-old town. Here you are almost traveling through Time, surrounded by all these buzzing shops, crowd, Gothic buildings and Medieval street passages. There you can find several shops of souvenirs, clothing, a fish shop and some authentic bakeries where you must stop by to buy a fougasse, a baguette or some croissants. 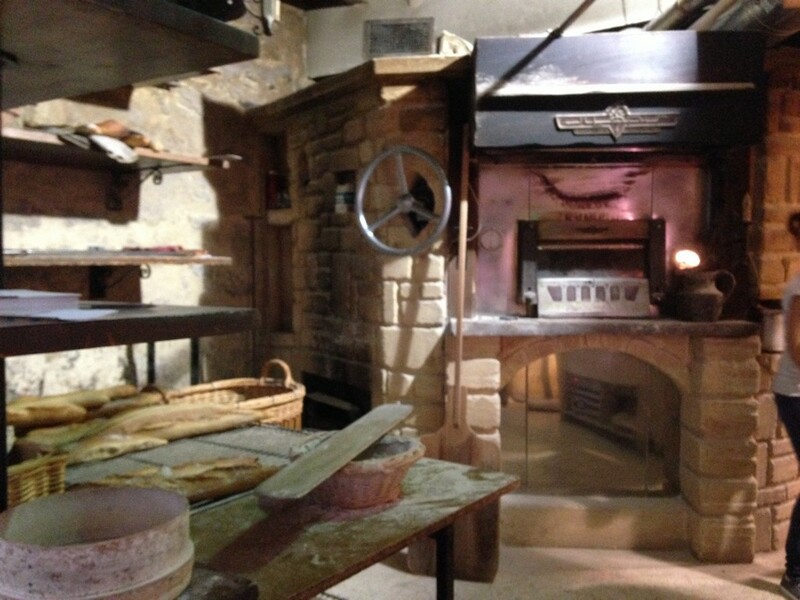 I strongly suggest you the boulangerie L’amandine, they have outstanding fougasse and much more!! At the top of the street you can reach the Place du Docteur Dax, where you can see the main market square, surrounded by Roman arches. 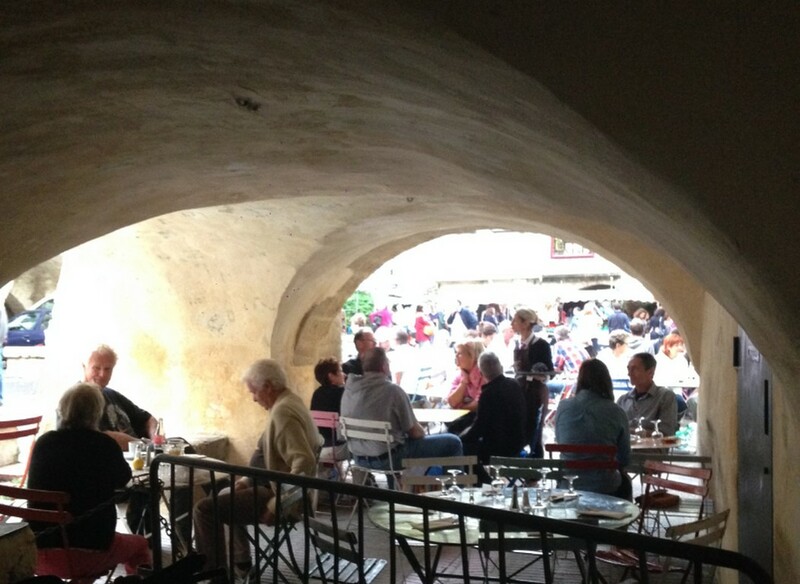 Around the place you can find numerous outdoor cafes, restaurants and brasseries to discover. It is well worth it to go to sit to the cafes located in front of the rue Mazelle and order half a dozen of fresh local oysters with a glass of wine, they also make some pretty decent paellas to eat there or take away. On another note it is interesting to notice that when the Vidourle floods most of center of the old town is submerged. This happen quite regularly, usually in autumn and some historical flood levels are marked on the walls, you can see some of these marks for example in the rue de Narbonne. 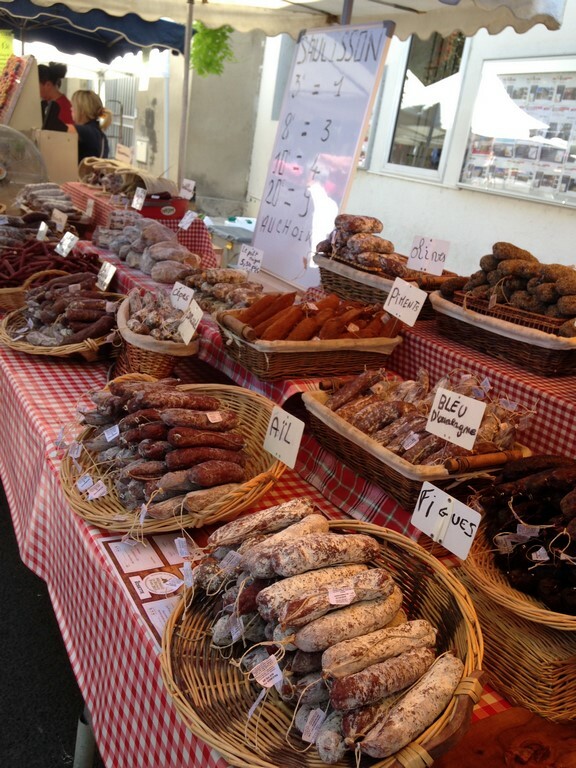 The Saturday morning market of Sommières displays many produits du terroirs, such as olive oils, fish, vegetables, honey, jams, fruits, cheese, bread, herbs, meat and much more. Regarding olives you have to try the local native olive from the Gard department the Picholine. This I the most grown olive in the Gard department and it is the favorite amongst the locals at the time of aperitif. This shiny skin and firm flesh green olive is crispy, full of freshness and characterized by an herbal bouquet. Delicious! 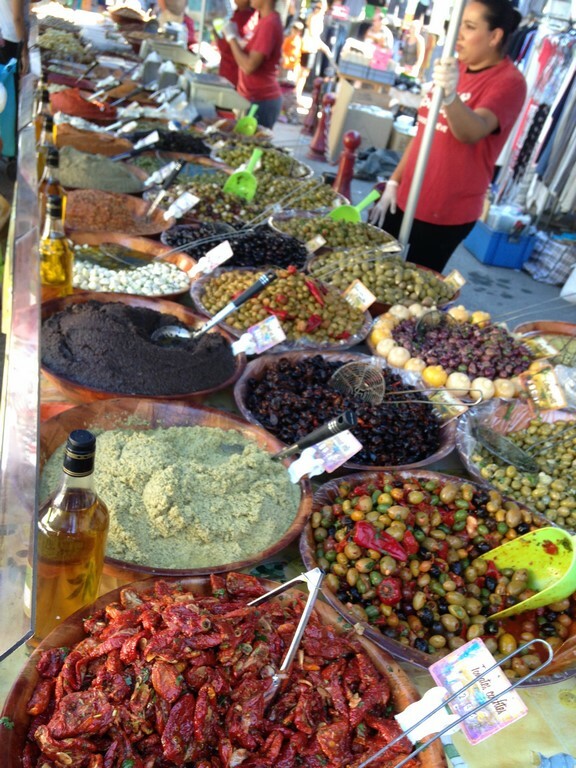 If you like local specialties you should also get some freshly made tapenade, pesto or even the well-known brandade de Nîmes! Without mentioning the wide variety of already-cooked local dishes that you can buy such as roasted chicken, squids alla plancha, palleas, gardianne de taureau etc… For those who are looking for organic products, there is several vendors selling organic olive oils, fruits and much more. At the rue Général Bruyère you can find a great vendor who have all sort of organic breads, croissant and related delicacies. 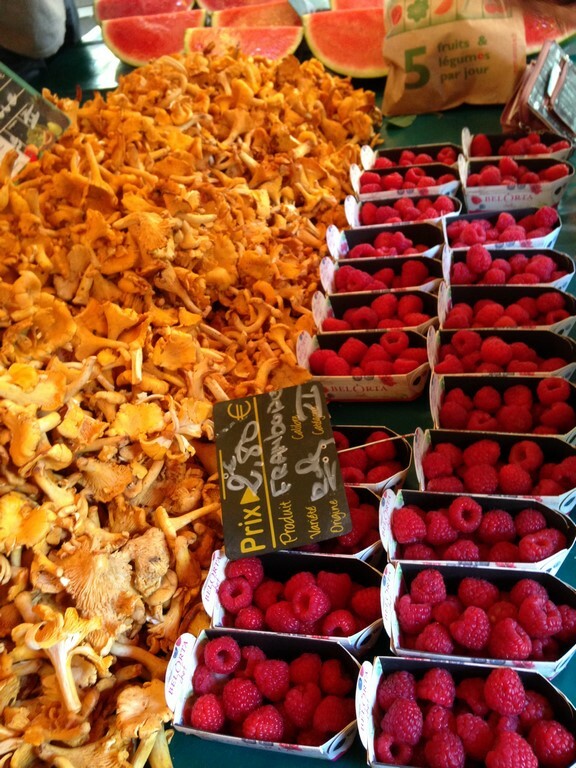 You can literally spend hours wandering the streets filled with market vendors, so should get in Sommières early to give yourself enough time to see everything this once-weekly market has to offer. It open at 8am and close at 1pm, but it become quite crowded from 10h30am to 12.30pm. 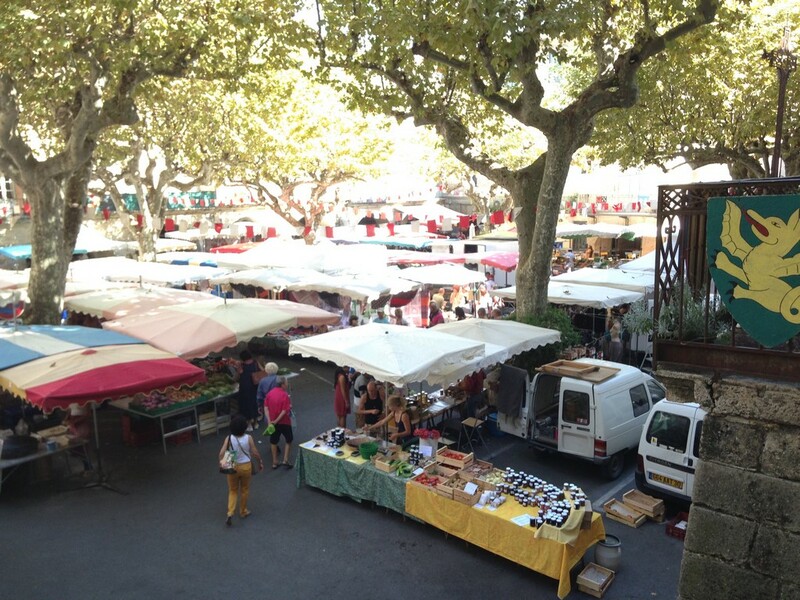 Variety, quality, beautiful scenery and a medieval touch, make the market of Sommières the best market of the area of Vaunage.